This Teabag Folding Cross is quick and easy to make. It only requires 5 tiles. 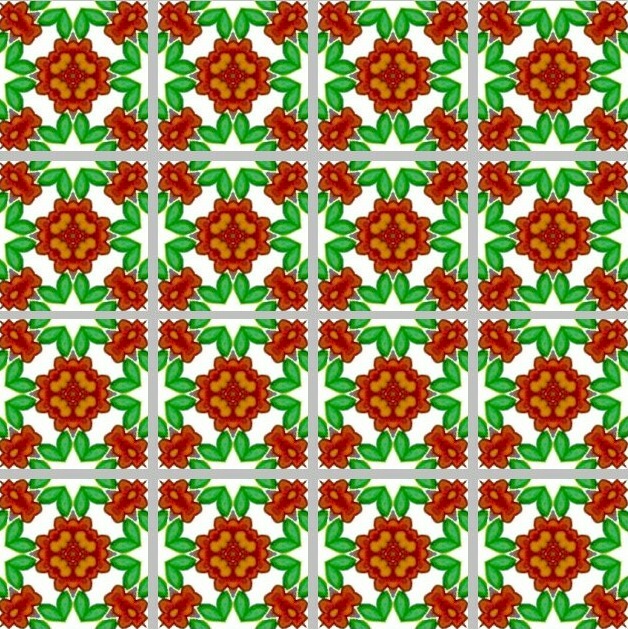 It would look great on the cover of a seasonal greeting card, on a scrapbook page, or could also be used for many other craft projects. 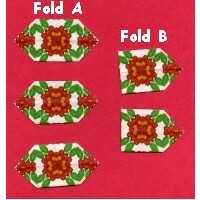 Tile Pattern (Use the one on the printables page or go to Circle of Crafters website for more designs. 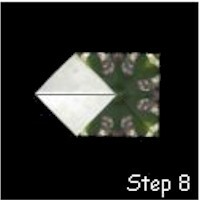 To make the card shown, you will need a total of 9 tiles. 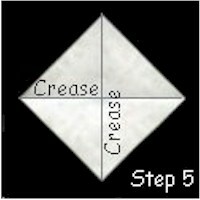 5 tiles to make the cross and 4 tiles for the corners. 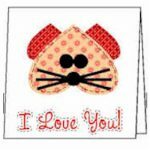 The card shown is 5 inches X 8 1/2 inches(13 cm X 21.5 cm). 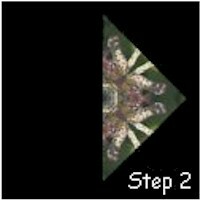 To finish the corners, just fold the tiles in half, diagonally, and glue in place. 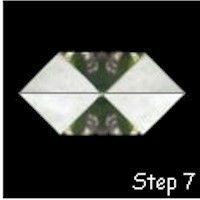 Fold your first tile in half, vertically, as shown below. Then, open it back up. You should have a nice crease. 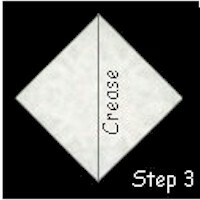 Next, fold your tile in half horizontally, then open it back up. You now have 2 crease lines. Fold the bottom point of the tile up to meet the center point where the creases meet. 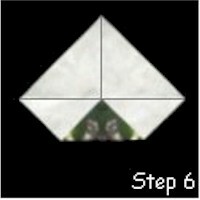 Now, fold the top point of the tile down to meet the center point. 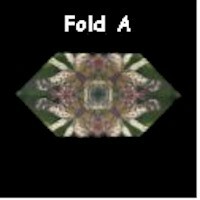 Turn your finished piece over, and you have made Fold A. 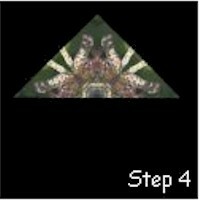 Follow the directions above, through Step 7, then make one more fold folding one of the side points to the center. 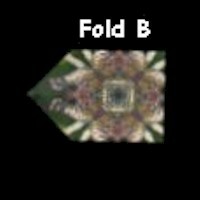 Turn the piece over and you have made Fold B. The finished size of the cross should be 14 centimeters(5-1/2 inches) high, by 11.25 centimeters(4-3/5 inches) wide. 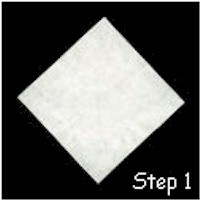 Each unfolded tile should be 4cm X 4cm(1-1/2 inches X 1-1/2 inches). 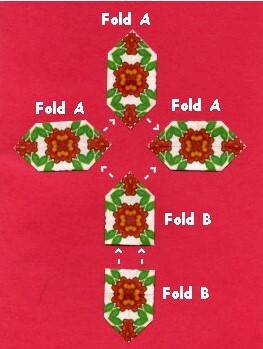 Follow the diagram on the printables page to make a tea bag folded cross. Circle of Crafters is a place where crafters can share their crafting knowledge with fellow crafters worldwide. 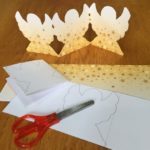 Within our pages you can find crafting tips and ideas, free craft patterns and printable templates, and much more.